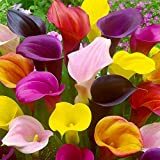 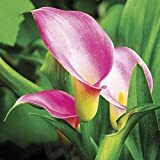 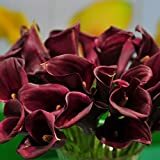 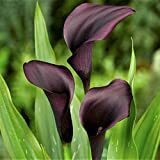 Calla lily plants for sale – Easy plant to grow, grown for the ornamental flowers or for variegate leaves, planting in spring to autumn, there is no difference between to buy plant or bulbs. 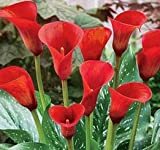 Growing information: perennial plant, growing hardiness zone: 8-11, the bulb can be stored indoor and also grown as house plant, water needed – small to big amount as you choose, light conditions – full sun to shade, height: 0.3-1 m, 1-3 feet. 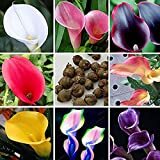 Blooming in the spring to summer or autumn to spring in warmer climate in strap shaped flowers that appear in white, pink, purple, black, yellow, orange, green, red, brown or mix color.